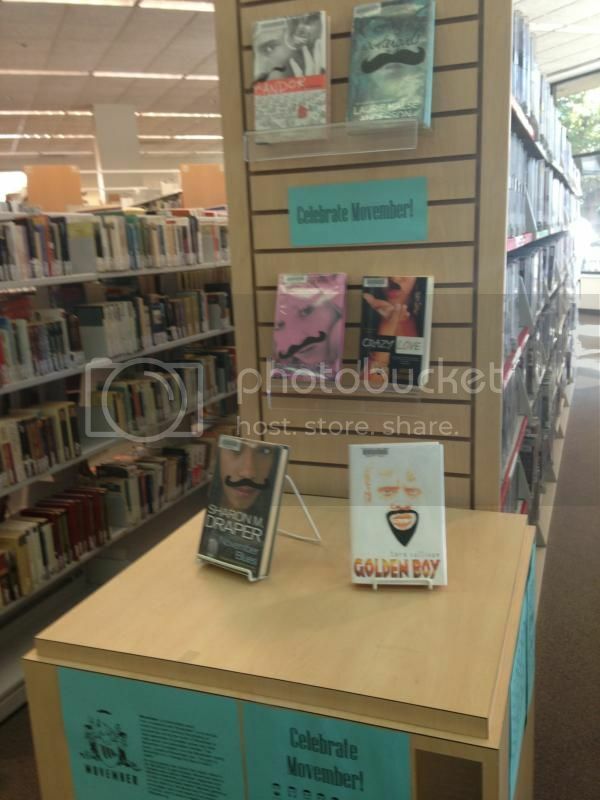 We set up this display at the library for November, aka, "Movember" and it's been a lot of fun. The main challenge is finding new books with faces on them to fill up the display when these check out. Oh, and also, not putting handlebar mustaches on every single one, since handlebar mustaches really are the most fun.